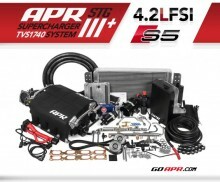 We’re pleased to present APR’s B8 S5 4.2L FSI V8 Stage III+ TVS1740 Supercharger System! APR’s technical reach has grown enormously since opening in the 1990’s and currently represents a force of unmatched performance without compromise in the performance enhancement sector for Audi vehicles. 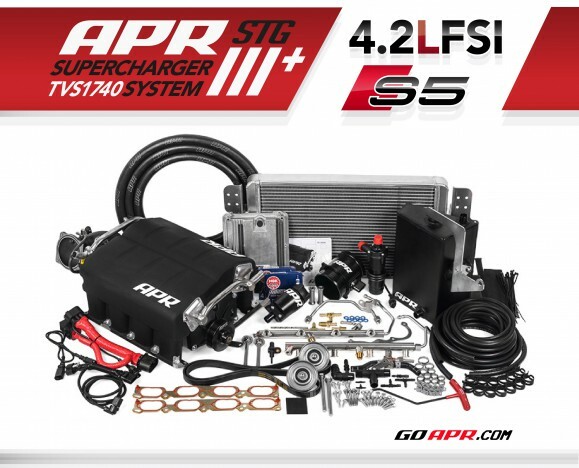 Our previously available APR Stage III TVS1320 Supercharger System found its way on to several hundred S5s and RS4s around the world, making it the most popular and reliable system on the market. With more than four years’ worth of 4.2L FSI V8 supercharger engineering research, development and testing, APR’s new Stage III+ TVS1740 Supercharger System represents the pinnacle of Audi’s German engineering enhanced by APR’s American ingenuity.